What would summer be without cool, sweet, and delicious popsicles? But have you ever wondered who invented them? Would you believe it was an 11-year-old boy? In 1905, Frank Epperson left a cup filled with soda and a stirring stick on his front porch in San Francisco, California. That night, a freak cold snap caused the soda to freeze with the stirring stick in it. Frank took the frozen treat out of the cup and ate it. Voila – the idea for popsicles was born. Frank was only 11-years-old. 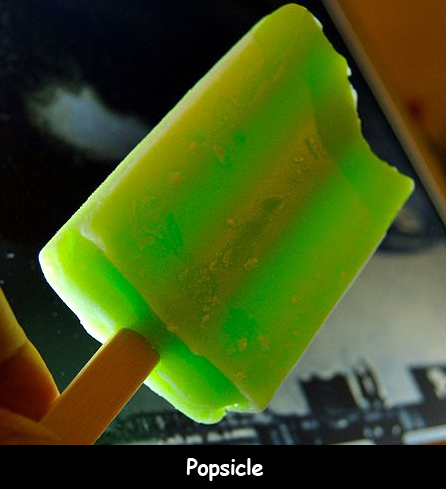 Epperson named the treat the “Epsicle” and sold it at a park in Alameda, California in 1923. In 1925, Frank partnered with the Joe Lowe Company. Popsicles were sold throughout the country. In 1939, the company created Popsicle Pete, a cartoon character who would become the company mascot for the next 50 years. In 1986, Popsicle got rid of its two-stick treats. Moms said they were too messy, but kids liked them because they could be shared. Today, Popsicle has new flavors like Jolly Rancher and White Lemonade; cherry is still the top seller though. Question: What kinds of summer treats did people eat before Popsicles were invented? Answer: Ice cream was a favourite treat, although making it was a chore. Before electric refrigeration, ice was hauled out of frozen lakes during the winter and stored covered with sawdust in large barns. The ice was used in the summer to make ice cream and cold drinks. Watermelon was another favourite treat.